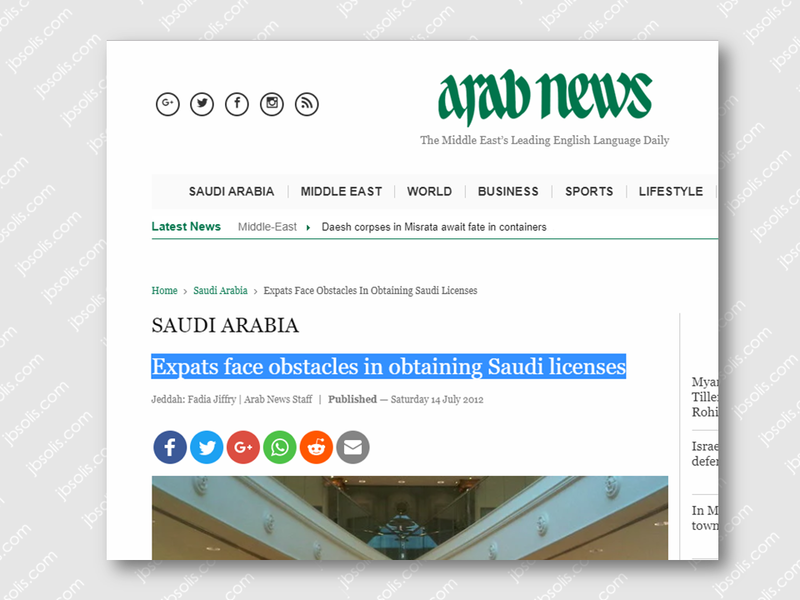 Expatriates who want to put up a business in Saudi Arabia is now facing difficulties in establishing a legal way due to the stiff regulations in the kingdom. 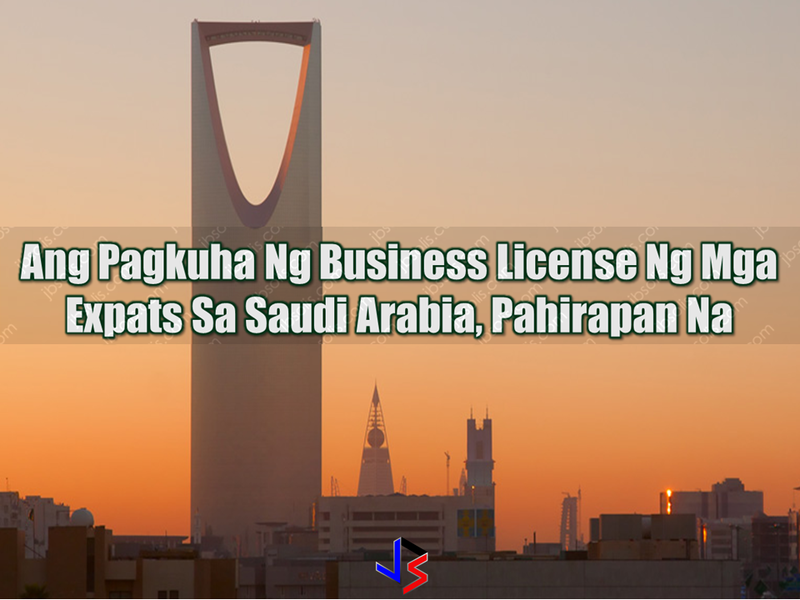 The alternative way to start a business in Saudi Arabia without the need of a kafeel is through the Saudi Arabian General Investment Authority (SAGIA) where it is become the sponsor of expats who wish to start a business. 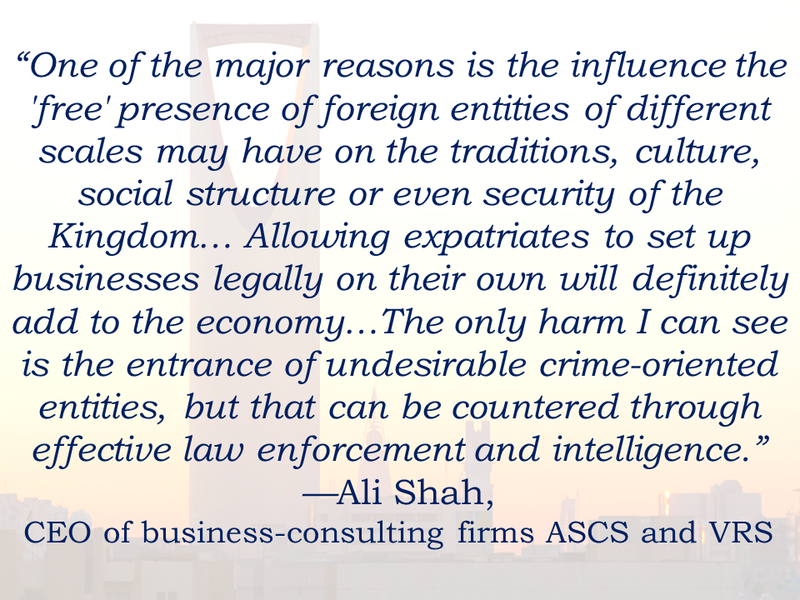 Ali Shah, CEO of business-consulting firms ASCS and VRS, said that there are numerous reasons why the government does not allow expatriates to set up their businesses legally. The expats who are already living in the kingdom has been clamoring for attention and consideration from the government to allow them to buy properties and permanent residencies outside sponsorship that leads to citizenship based on their track record. 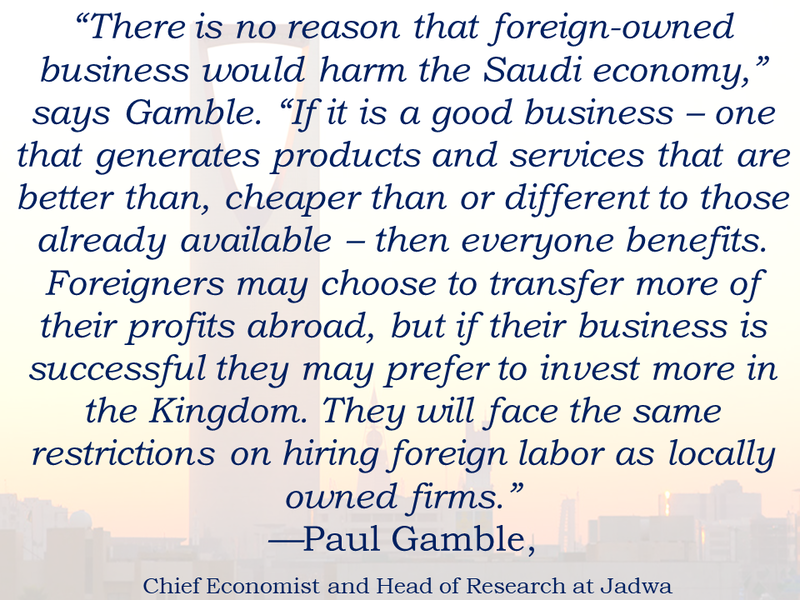 Chief economist, Paul Gamble assumes that the reason behind government not allowing expats to do businesses legally is that it could undermine the position of locally owned businesses. Many expatriates from countries like Egypt and Syria demand investing in the Kingdom rather than back at their own countries due insurgencies. However, Shah suggests that it is a good opportunity for Saudi Arabia to invite such investors if they really want to reduce unemployment and contribute to the market. Saudi Arabia has been proven to be the most stable investment venue in the Gulf, nonetheless, the strongest and best performing economies in the GCC. Allowing expatriates to invest and do business could boost its economy further. 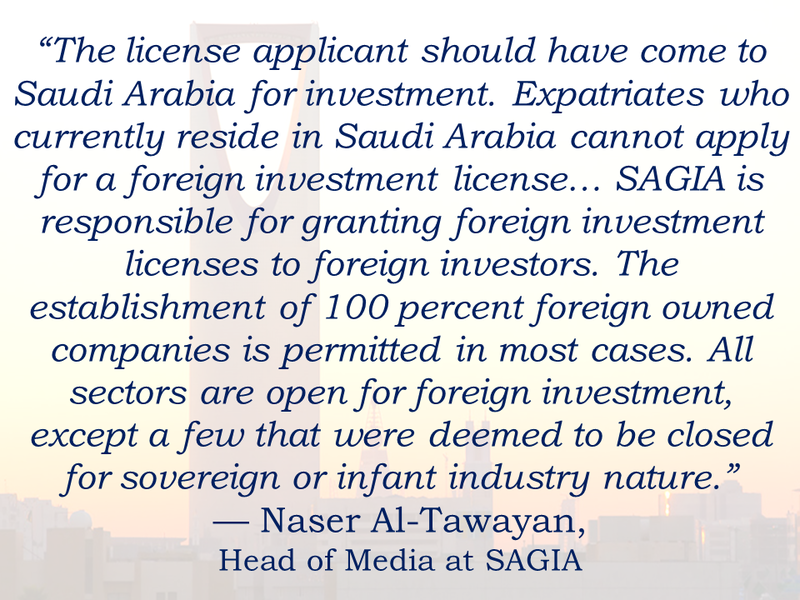 SAGIA's original policy is to allow any expatriate to do legal businesses and it should be brought back. SAGIA should consider expats who are living at the kingdom for a very long time. “The condition that they leave on exit-only does not help. This will totally resolve the Saudization issue if a major condition is for businesses to train and hire locals,” Shah added.